La Campofilone Company believes that to provide consumer with key information is crucial in order to recognize the quality of its products. The raw materials the company selects and the production steps are made to obtain a product with authentic quality and guaranteed excellence. 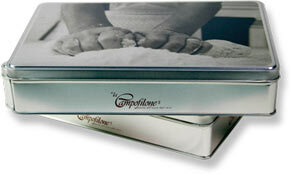 At La Campofilone Company all the Raw Materials are strongly selected and carefully checked. La Campofilone use only the finest non GMO (Genetically Modified Organism) durum wheat, that is exclusively cultivated in Marche Region and it is characterized by a high protein standard, to guarantee an excellent nourishing value. The durum wheat semolina, produced in a local mill, is extracted from the heart of wheat, using only the central part of the single grain. This gives the pasta an elevated gluten index, in addition to providing firmness during cooking. Moreover, it helps to avoid the stickiness and contributes to an elevated granulometric value. The pasta is made with eggs from free-range hens that are fed exclusively with non-GMO cereals, and they have a genuine scent and an authentic sunny color. In the production, The Campofilone has been able to reproduce the same traditional process to make egg pasta as it was made in the past by the old ladies of the Campofilone village. The dough is mixed at low temperature and successively, after the exfoliation and the cutting steps, pasta is placed on paper leaves for food use: each paper leaves is folded up in four sides, respecting the ancient tradition of Campofilone. The final step of the production process, before packing, is drying, which is done at low temperature (under 36°C), for 20-48 hours.